Bryan O’Sullivan established his studio in 2013. His team is made up of architects and interior designers, whose work covers residential and commercial projects and bespoke furniture. ‘We are currently developing our project range, which we hope to launch next year. It includes furniture, lighting and accessories, which is really exciting for us. A big part of our practice is that we create bespoke pieces for each project, so I feel like we’ve dipped our toe [before], but now we’re diving right in,’ O’Sullivan explains. The Tamburlaine Hotel: The studio designed several public spaces for the new Tamburlaine Hotel. Inspired by Christopher Marlowe’s play Tamburlaine, its Persian setting paved the way for the hotel’s intricate and rich aesthetic. The design merges a sense of strength, eloquence and passion with elements of Cambridge’s traditional collegiate vibe. 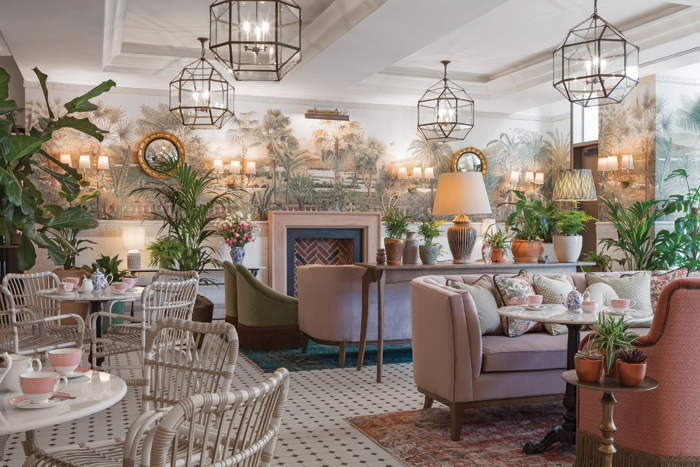 Having recently completed all the public areas of the Cambridge-based Tamburlaine Hotel, the studio is rapidly expanding, going from five to 14 employees in a year. As to the future, the team is working on further ‘fun and fresh’ hotels in Spain and Portugal. 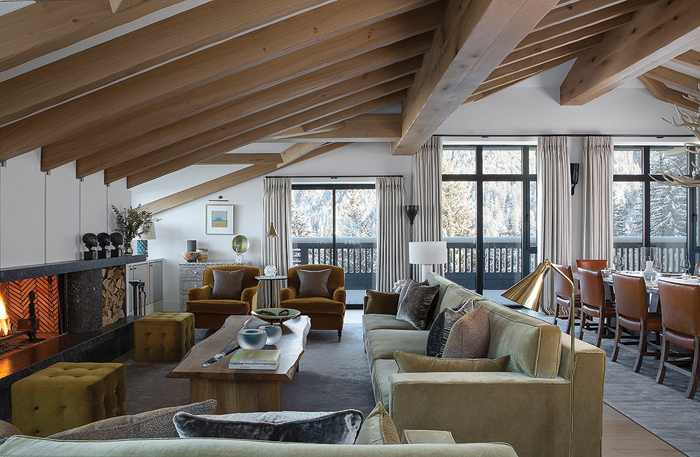 Courchevel ski chalet: This is a complete interior design project for a new-build family ski chalet. While respecting the local building traditions, Bryan O’Sullivan Studio introduced new architectural details, including bespoke timber cladding. The chalet’s interior is a collection of layered textures and tonal timber, creating a softened atmosphere of timeless elegance. O’Sullivan set up his studio by chance. ‘It happened as I was in between jobs and was offered two incredible villa projects in Ibiza. I had been working with Luis Laplace in Paris, but missed the vibrancy of London, and luckily these two projects landed on my lap,’ he says. 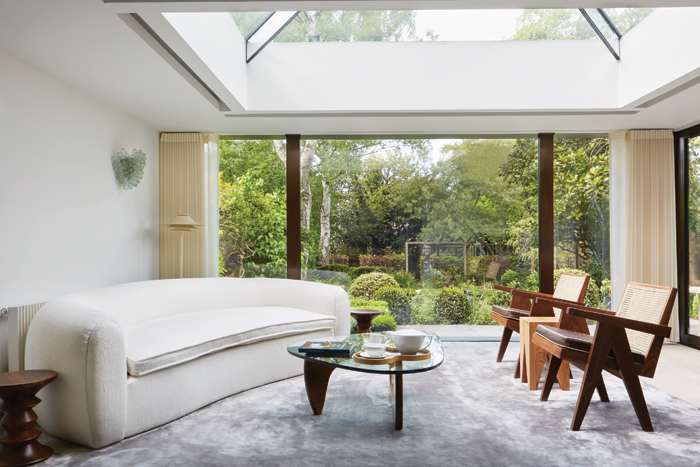 Richmond townhouse: The 19th-century, four-storey London townhouse was entirely redeveloped by the O’Sullivan Studio. Although celebrating its history by maintaining the townhouse’s original features, the redesign has added a sense of understated glamour, and the master suite was transformed into a tranquil sanctuary for the users. ‘I haven’t looked back since.’ Hoping to expand the commercial side of the business and develop the product range, O’Sullivan reveals his team loves residential work and that it would always be their mainstay. The studio’s approach to interior design is to make ‘people feel at ease while maintaining a sense of space’. ‘We value attention to detail and a personal touch,’ O’Sullivan adds.